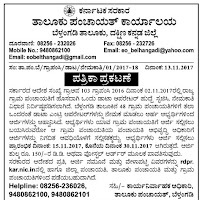 Invites applications in prescribed format for the post of Data Operators in 48 Grama Panchayaths. 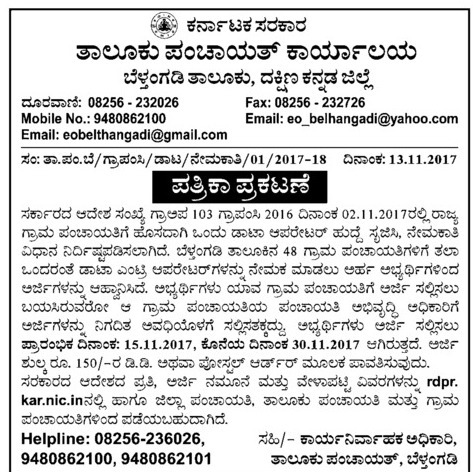 The candidates are requested to submit filled applications to the PDO of respective Gram Panchayaths you are applying. when will recruitment process starts?